Lorena Olmos, a Modrall Sperling shareholder, was interviewed and featured in the 2015 edition of Southwest Super Lawyers® magazine. 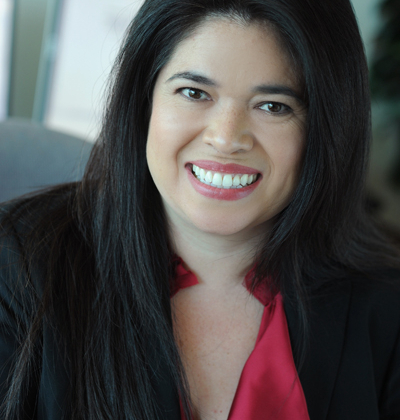 Lorena is a member of the firm’s Litigation Department and is Chair of the Employment practice group. She especially enjoys assisting with day-to-day employment issues, developing litigation strategy and participating in trial. Her employment practice includes disputes involving discrimination, retaliation, and contract claims. She gives presentations and conducts training for clients on employment issues such as harassment, discrimination and current employment regulations and law. Lorena received her undergraduate degree in Latin American Studies from Vassar College, and her master’s and law degree from the University of New Mexico. She was named Young Lawyer of the Year in 2010 by the New Mexico Defense Lawyers Association, and was first recognized by Southwest Super Lawyers® in 2012 as a Southwest Rising Star.